Smartphones are extremely capable, but the bloatware from their manufacturers and/or carriers limits them from their full potential. To get the absolute most out of your phone, you need one that can be easily flashed with a custom Android ROM or jailbroken for the case of iOS devices. Not every phone is made equally for these purposes, so you need to make the right choice ahead of time if you ever plan to perform these modifications. Before we begin, it’s important to know what “unlocking” and “flashing” mean. Unlocking in this article refers to the act of unlocking the Android device’s bootloader, and not SIM-unlocking. Unlocking and flashing an Android device allows you to install third-party software, which can even replace the default Android operating system entirely. You can also apply new radios, new firmware, and alternate kernels. You are a lot more flexible when it comes to flashing on Android. The first choice to make is whether you want to go with iOS or Android. With iOS, you’ll be looking at jailbreaking your iPhone. This isn’t particularly difficult as there are plenty of people who work to make jailbreaking your iPhone an easy affair, but you’ll have a harder time if you like to use the latest version of iOS. Here’s why. If you constantly update to the latest versions of iOS, you may find that the latest updates usually revert or block a jailbreaking opportunity. These updates usually patch or fix vulnerabilities that the jailbreaking community exploits to install a payload on the iPhone in order to jailbreak the device. Once such updates are released, it’ll take some time before the jailbreaking community finds another method of jailbreaking the phone. The benefits of jailbreaking an iPhone primarily include the ability to install Cydia, a software distribution service which gives you access to plenty of apps for your iPhone which aren’t on the App Store (amongst other reasons). With these apps, you can unlock your phone as well as make other customization tweaks, including enhancing the user interface, switching default icons, and so on. If you’re not fond of iOS or don’t think that jailbreaking an iPhone will give you as much freedom as you’re looking for, then I’d recommend that you take a look at Android devices. 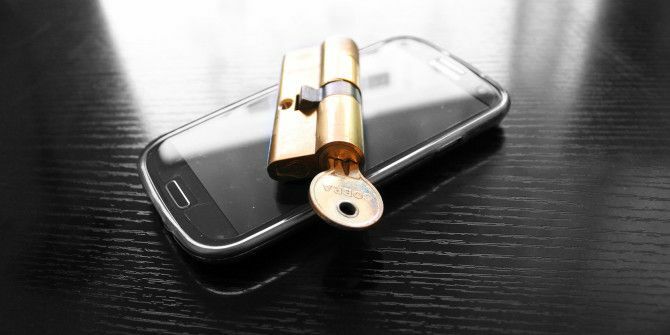 Unlocking and flashing an Android phone isn’t the same experience on all devices. It’s the art of picking the right one that makes all the difference. For example, the Nexus line and the Google Experience phones (mainly the Samsung Galaxy S4 Google Play Edition, and the HTC One Google Play Edition) are fantastic choices are they’re the de facto phones meant for developers and general tinkering. These phones already run a vanilla Android OS that only includes code from Google — there are no manufacturer and carrier addons with these phones. Google makes it easy to unlock, root, and flash the devices and should definitely be considered. Plus, Nexus phones such as the Nexus 5 pack high quality hardware Google Nexus 5 Review and Giveaway Google Nexus 5 Review and Giveaway Approximately a year after Google released the Nexus 4, the company behind Android has come out with its successor -- the Nexus 5. Read More with a relatively small pricetag. Want to save even more money? Just buy a Nexus 4 and enable LTE on it How To Enable LTE on The Nexus 4 (It Can Be Done) How To Enable LTE on The Nexus 4 (It Can Be Done) Did you know that the Nexus 4 actually has LTE functionality? The absolute truth is that yes, it does in fact have LTE, no matter what Google or anyone else may try to tell you.... Read More . If those phones don’t appeal to you for whatever reasons, you can still get a “regular” Android phone from your carrier’s local store. Objectively speaking, Sony and HTC are better choices as they provide guides for unlocking your bootloader directly on their site. All of Sony’s phones except the Xperia Z1 are supported, and all HTC phones launched after September 2011 are as well. You can find the Sony guide here and the HTC guide here. Subjectively, the most popular phones should be easier to unlock and flash than the less popular phones. This is because, as there are more people using the same phone, demand for flashing solutions is greater, as will be the community support. With less popular phones, the opposite is true. This is the only reason why a regular Samsung Galaxy S4 can still be unlocked (with some hassle), despite Samsung’s attempts to prevent that. Try searching for your device on Google (such as “HTC One”) along with “unlock” or “flash”. An example search could be “htc one unlock bootloader flash rom”. This should give you a good idea of what’s out there in terms of possibilities. Go to the XDA-Developers Forum. They have subforums for virtually every Android device imaginable. Check to see if your device has a subforum, and look through the “Android Development” category to see if there are many threads with a [ROM] tag in the title. If this is the case, then it appears that people are able to flash ROMs onto that device. Choose popular phones such as the Samsung Galaxy S4, the Samsung Galaxy Note 2/3 (we have a great review of the Galaxy Note 3 here Samsung Galaxy Note 3 N9000 Review and Giveaway Samsung Galaxy Note 3 N9000 Review and Giveaway Samsung released the third generation of the Galaxy Note in October, updating the phablet with a larger screen and improved hardware. Read More ), the HTC One, any Sony Xperia, or the LG G2. 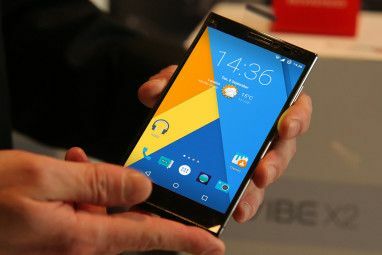 Popular ROMs such as CyanogenMod are virtually guaranteed to support these common devices. Otherwise, use Google or search XDA-Developers so see what results you get. If flashing alternative software is important for you, I definitely suggest going with a Nexus device. They’re made for flashing and come with a pure Android experience, which is exactly what you’re looking for. Plus, they pack some enticing hardware that makes them very capable despite their rather cheap prices (at least, this is the case for the Nexus 4/5). Don’t forget to check out several great Android ROMs and how to find the perfect one and install it. Which phone have you found to be the easiest to unlock and flash? What criteria do you think should be changed when picking a smartphone for such purposes? Let us know in the comments! Explore more about: Android Rooting, Google Nexus, Jailbreaking. 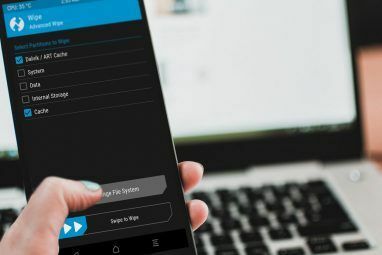 5 Sites and Apps to Find Movies & TV Shows to Watch on NetflixTouchpal X for Android: A Rising Alternative for Swype and SwiftKey? Kiddies who jailbreak don't have to worry about these details but users who work with their smartphones would be totally crazy (especially if they have sensitive client information on the phone) to jailbreak. hmmm.... one jailbroken phone for goofing around with and one regular unbroken phone for your regular stuff. now ive got to go. i am a kiddie and want to jailbreak some phones. good luck to you 'Smartphone User'. That's true. It's important to check the software that you get through Cydia -- the more popular ones will be more scrutinized by the community, so it's best to stay away from those that no one seems to use. just some additions from my personal experience. 1. Don't buy knock off Android phones. many of them don't get enough of a mention for developers to get interested in and develop CFW, Rooting methods and CWM recovery. 3. As Danny mentioned, XDA is a haven for us people, who are into flashing and rooting our phones. whichever phone you buy, always go to XDA and use the "find your phone" area to search for your phone. its a bit faster than going through the forums. always go for the rooting method which is in the Sticky. if there is one. 4. always buy an unlocked phone. trust me on this one. it would also help if that phone has external SD card capacities. though it only matters if you have a small internal memory on your phone and want to swap internal and external. 5. remember to install a good antivirus. as basically rooting opens up everything as opposed to an unrooted phone, which had limited options. remember this corny line: with great power comes great hackability. Hackabilty is a two way street. 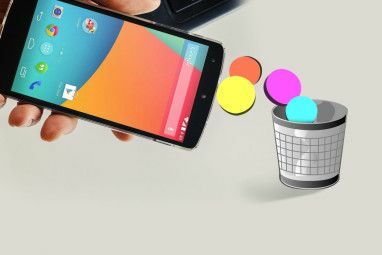 6. after you root your phone, you should be able to remove the 'BLOATWARE" i.e. pre installed crapolla that the manufacturer thinks your life would be over without. be careful. Don't remove anything which looks like its required for the system. "sms service " for example. okay, thats it for now. i could go on for ever and ever, then again i suspect most of us who had ever tried to root/flash etc can. so i will just stop writing now. just remember whatever phone you buy, you should like it, cause rooting voids warranty and its risky to reverse that ship once it sets sail. Great tips! Thanks for this! Careful with the use of the term "unlock" as it means unlocking the phone service from a single service provider. I had been rooting and installing custom ROMS since my HTC HD2 that was running Windows Mobile 6.5. Installing Android on a Windows Mobile phone was a great feat. There are plenty of phones and other devices that can be rooted, different kernels installed, different ROMs installed, remove junkware and bloatware, modify the system to allow installation and movement of apps to the external micro SD card, perform a NAND backup, and more. A major thing to note is how rooting a device leaves it more vulnerable to attacks and infections as it gives users administrative rights full time, as opposed to giving users limited rights and privileges. Extra care must be used should anyone root their device. Yes, I addressed "unlock" in the Notes section of the article. Also, that is true. With more rights come more responsibilities which is for better or for worse. Great article as always Danny. It's funny. I'm not an Android guy. You can drag my Blackberry Q10 from my cold, dead hands. However, I just bought my dad his first ever cell-phone (excluding the Blackberry 8250 which he returned to the store two days later. He was *very* contented with his Nokia dumbphone). It's a cheapo Samsung Galaxy Youth (a £30 pre-paid affair). Sadly, it comes with an antiquated version of Android (2.3) and is sim-locked. So, I've got to unlock my dad's cell phone and I'm planning on doing that with GalaxSim Unlock. This requires me to root the device. I'm considering if, in the process, I ought to upgrade the firmware. Perhaps install CyanogenMod. What are your thoughts? If CyanogenMod offers a ROM for it, then absolutely! CM is my personal favorite. However, if they don't, then definitely check out XDA and see what's available. The Galaxy Youth probably has different hardware on it, just like how the Galaxy S4 and S4 Active have different hardware.